In this short guide we’ll show you how to use bold, italic and Strikethrough (how to cross out text) in WhatsApp. 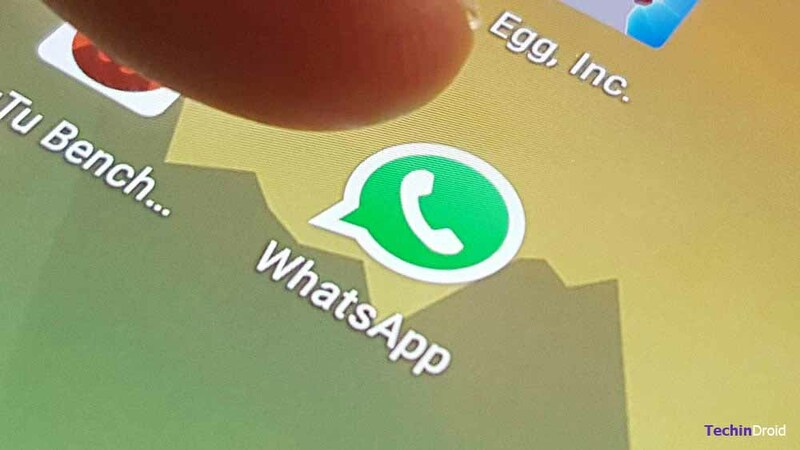 This feature is very useful to format text in WhatsApp. A few months ago WhatsApp added the feature that allows us to enrich the text with bold, italic and strikethrough. Since you can send stylise the texts in whatsapp. But, It’s likely that many people don’t even know that such a function exists. It’s very simple to use and you can do it both from Android, as well as we can do them from iOS. Specifically uses Markdown, a format that is used in digital writing to enrich text. It’s used, for example, WordPress, one of the most famous content managers. You can do anything in Markdown, In the case of whatsapp not everything is available but, You can do a few things. 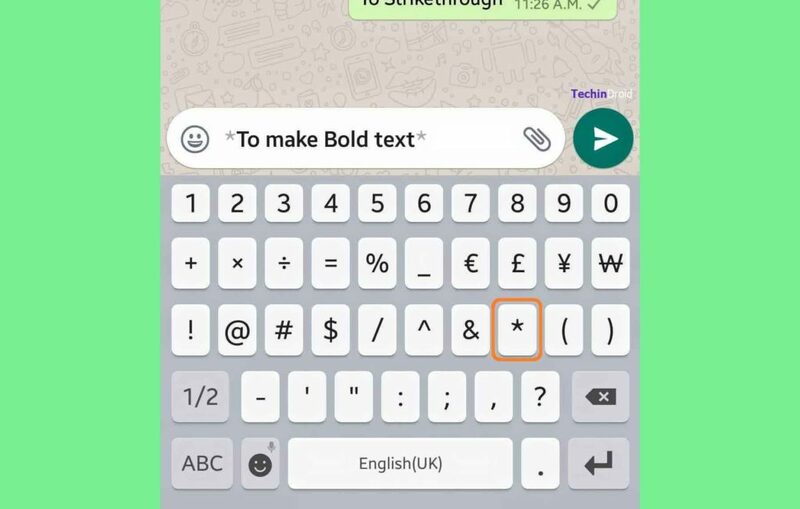 We have explained each styles individually, So that you can easily identify how to type Bold, italic, Strikethrough and text underline on whatsapp. This will work on Android and iPhone. Bold is used to emphasize the text thanks to a thicker layout in the text. However, for use it on messenger apps, since there was no stylization of text until now, capital letters were used. How to Enable WhatsApp Two step verification. You just have to enter a “ * “ before and after the text you want to stylise and when you can send everything in it will come darker. Writing and italics is also very simple. You will have to put the text inside “_” , both at the beginning and at the end. Italic is often used to paraphrase or put words in other languages. Striking out text is a bit more complicated but, it’s still as simple as that. Maybe it will cost us more because you have to find the “~” key is where located on keyboard. Which, you aren’t using much, may not even know where it is. This character is called virguilla. At the beginning of the text you will have to put “~ ” and at the end “~” . In a single message you can combine all stylizations. This is what you can write, for Example: “This is a text in * bold *, _italic_ and ~ * crossed * ~”, which will be shown as “This is a bold, italic and crossed out text “, as well That you do not have to limit ourselves to one style per line. 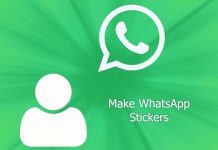 How to Get Free Phone number for WhatsApp. Find out Who Blocked you on WhatsApp. How to Delete Sent WhatsApp message. 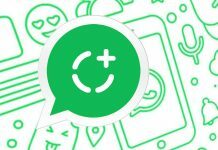 How to Hide WhatsApp Chat. 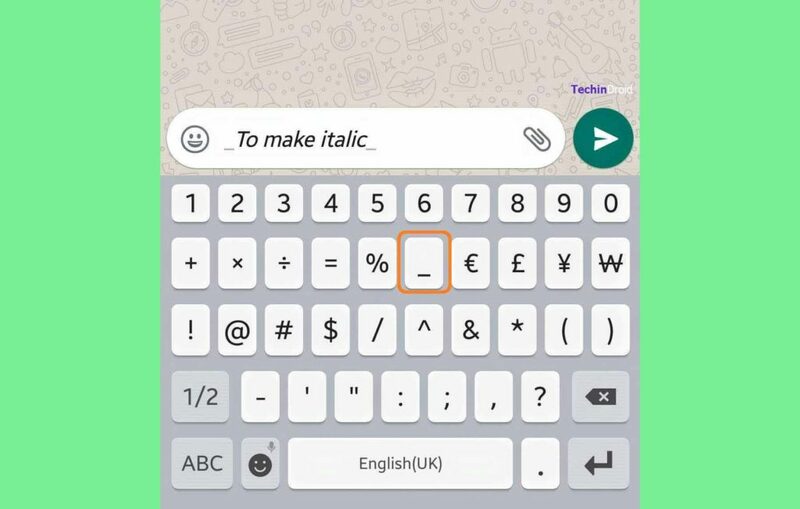 I hope this guide will help you change font styles in whatsapp and lets us use rich texts on whatsapp. 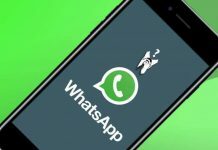 If you like this article don’t forget to share this whatsapp text formatting tricks with your friends. Next articleWhat Song Is This? Find the Name of That Song!